Why SMPE Oxygen / Lambda Sensors ? A lambda or oxygen sensor relays information to the ECM using the oxygen content in the exhaust which enables the ECM to control the air/fuel mixture for efficient combustion. SMP sensors undergo 100% testing, ensuring better quality, increased confidence, and improved performance. In addition, SMP Europe sensors are thermally conditioned, burning off any contaminants to prolong unit life and performance. Manufactured with a stainless steel shell that reduces rusting and provides greater dependability. The centre ceramic element is composed of Zirconium Oxide, Alumina and Yttrium Oxide. The platinum coating is applied using vapor deposition to ensure an even application. A Spinel coating on the outer platinum layer prevents solid particles in the exhaust gas from damaging the platinum coating. 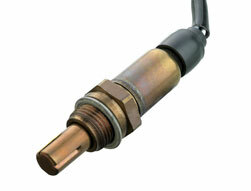 You can find our Lambda Sensors in our online Catalogue under the Intermotor, Fuel Parts and Kerr Nelson brands.